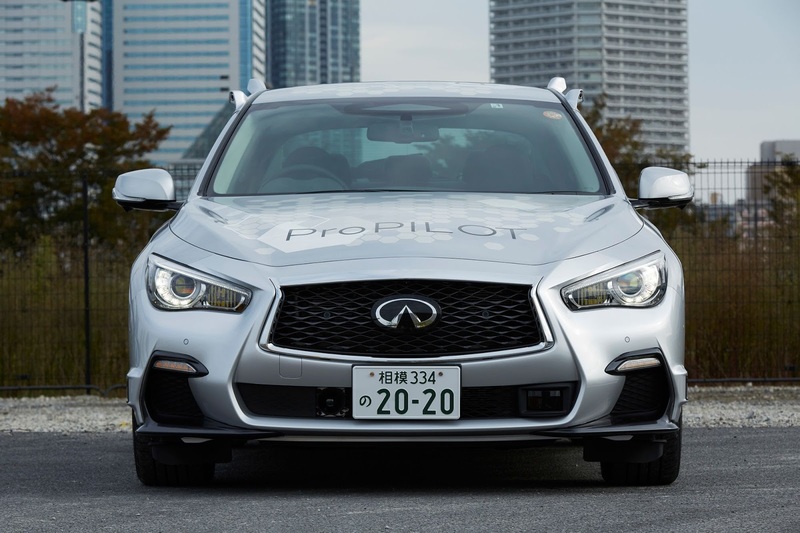 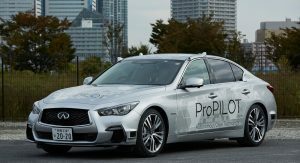 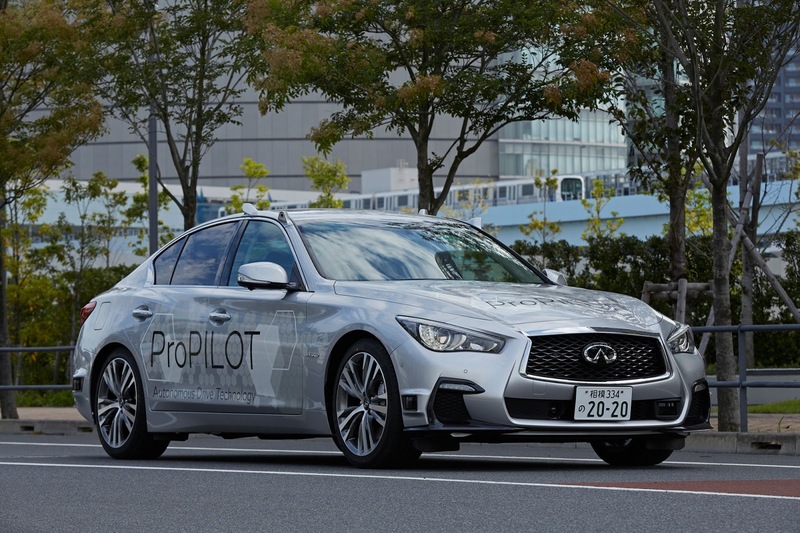 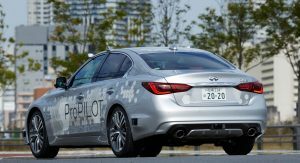 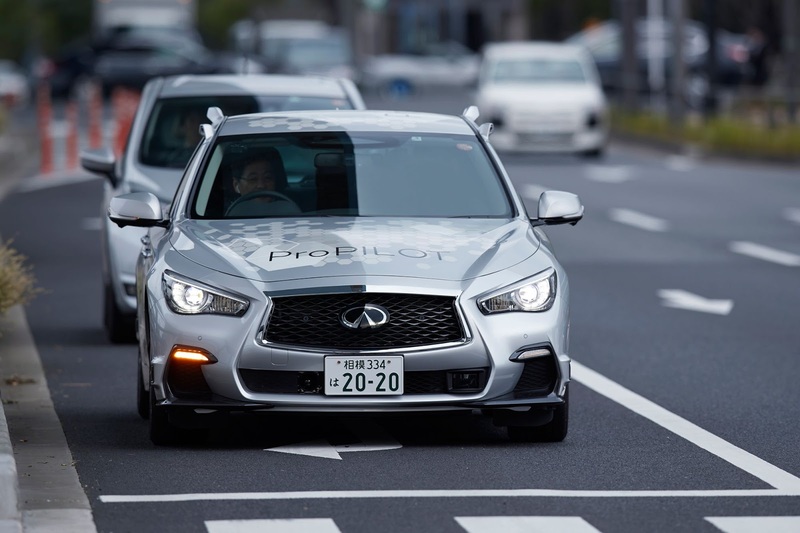 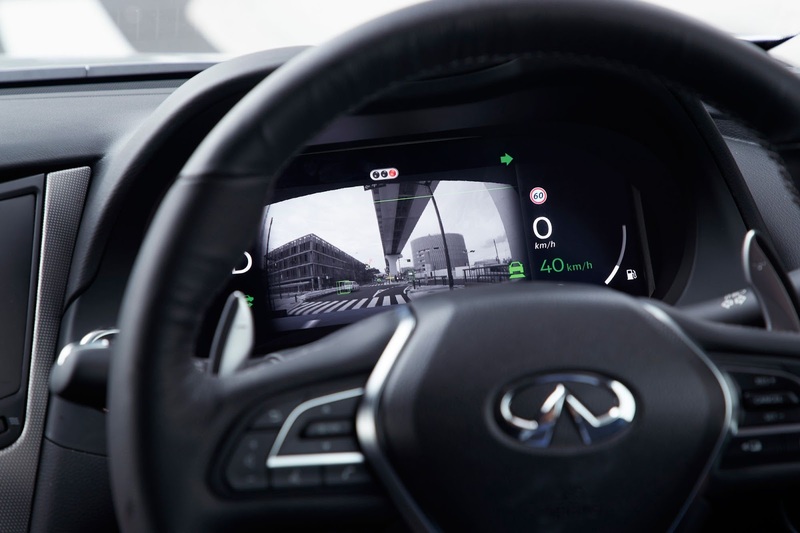 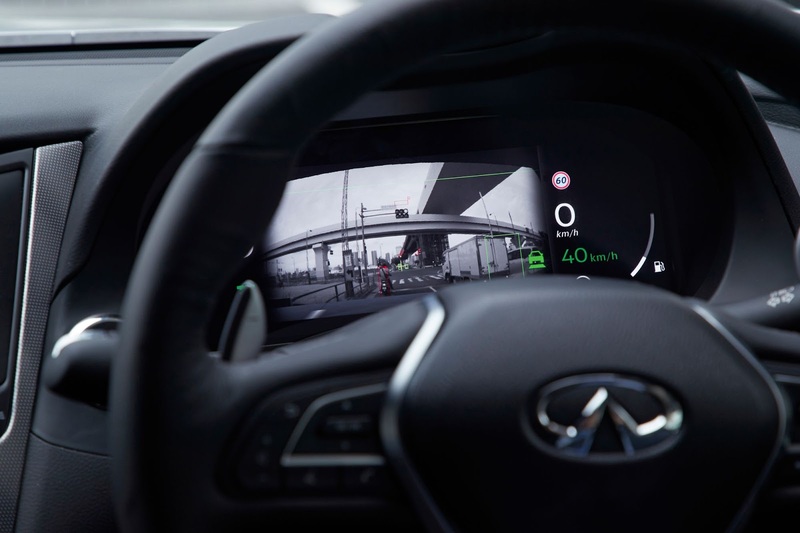 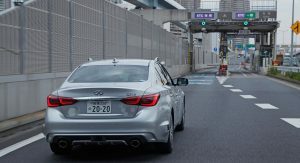 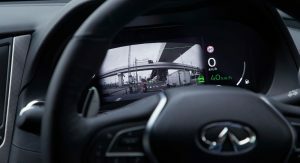 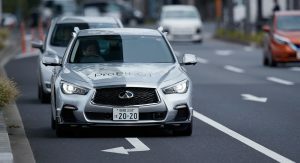 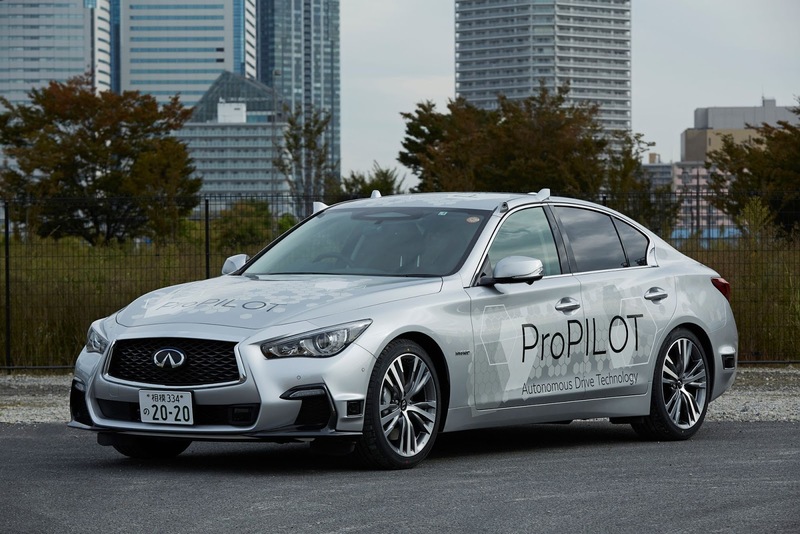 Nissan has demonstrated a fully-autonomous Infiniti Q50 on the streets of Tokyo, showing off the technology it hopes to introduce in 2020. 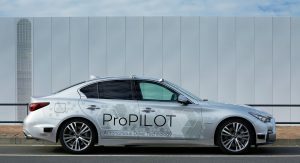 The technology forms the next-generation ProPILOT system and incorporates 12 sonars, 12 cameras, nine millimetre-wave radars, six laser scanners and a high-definition map to analyze complex scenarios in real time. 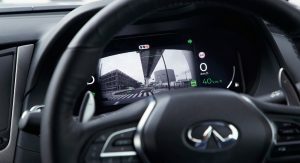 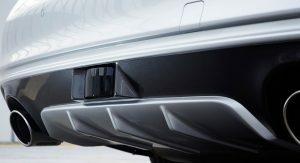 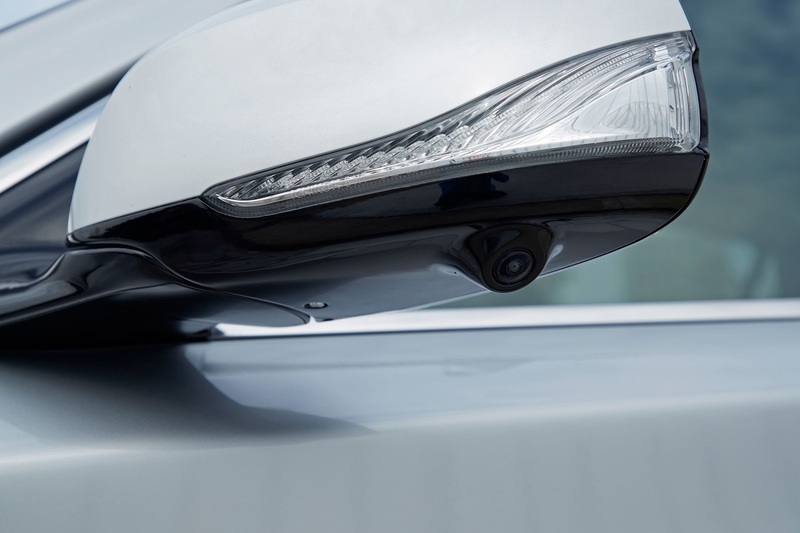 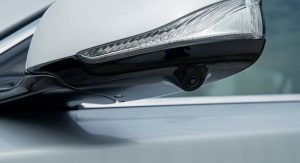 What is particularly impressive about the Q50 prototype is that all of the sensors and cameras are relatively subtle and don’t stick out like a sore-thumb, unlike Apple’s alternative. 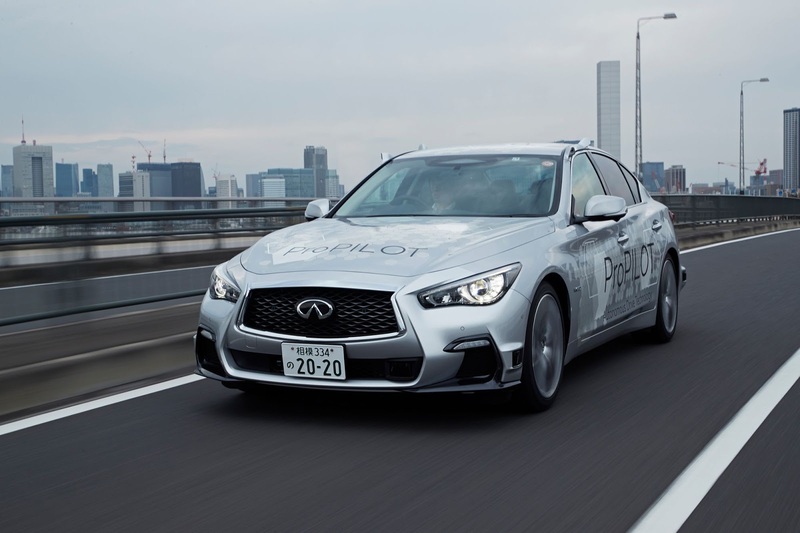 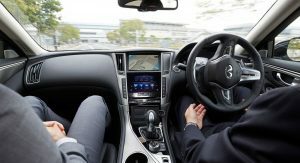 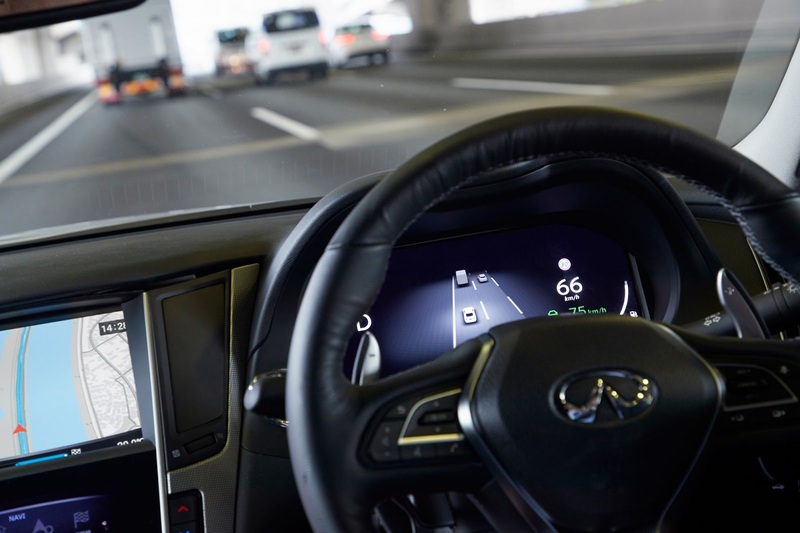 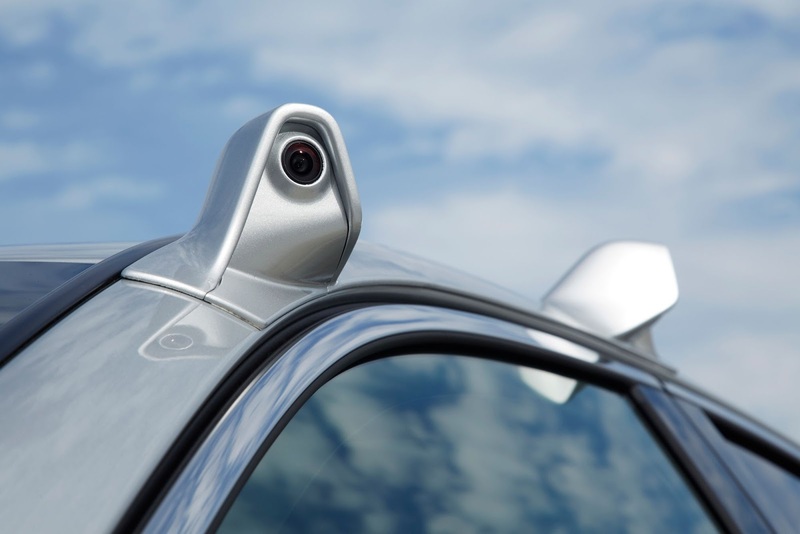 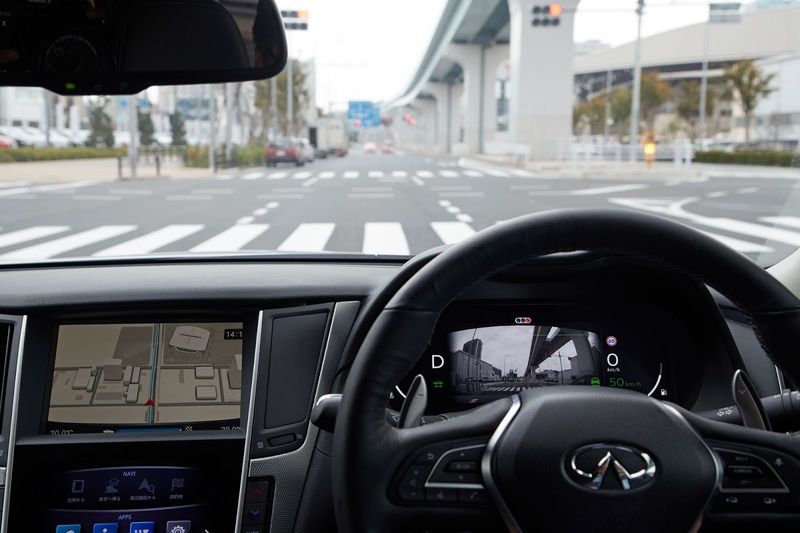 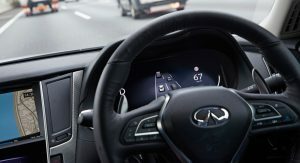 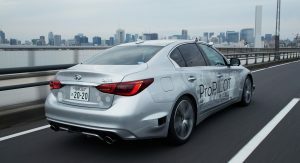 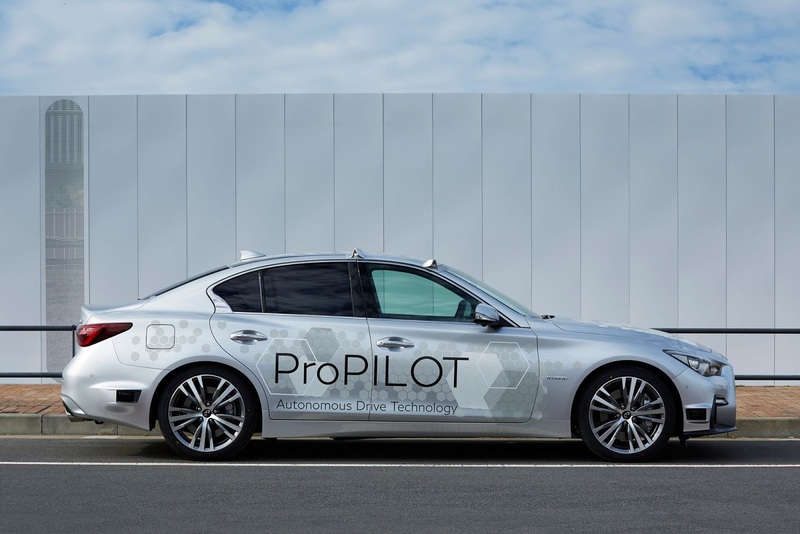 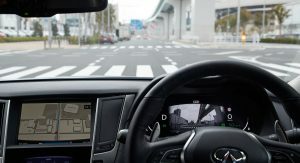 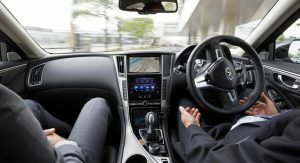 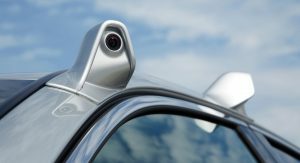 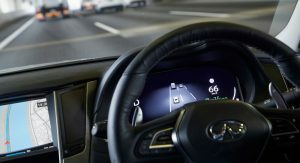 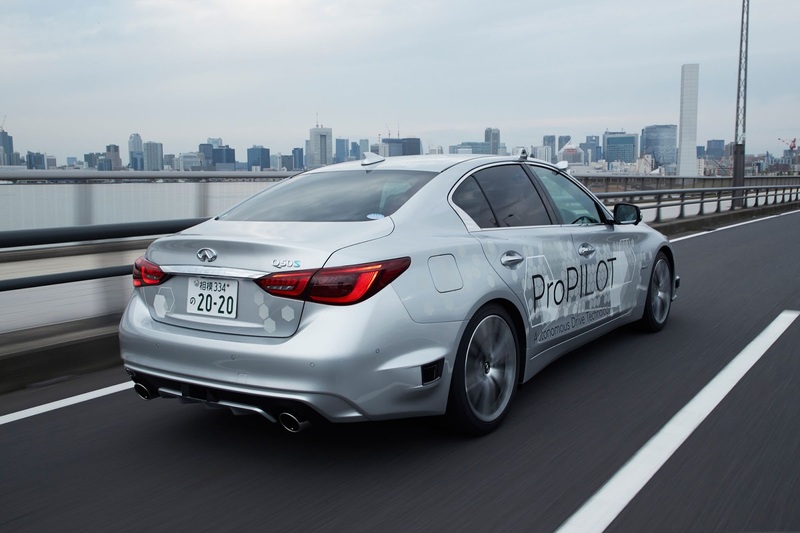 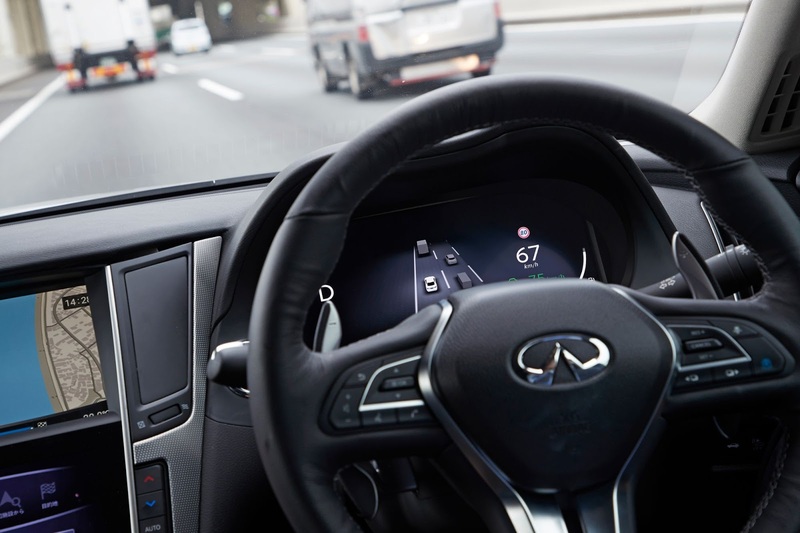 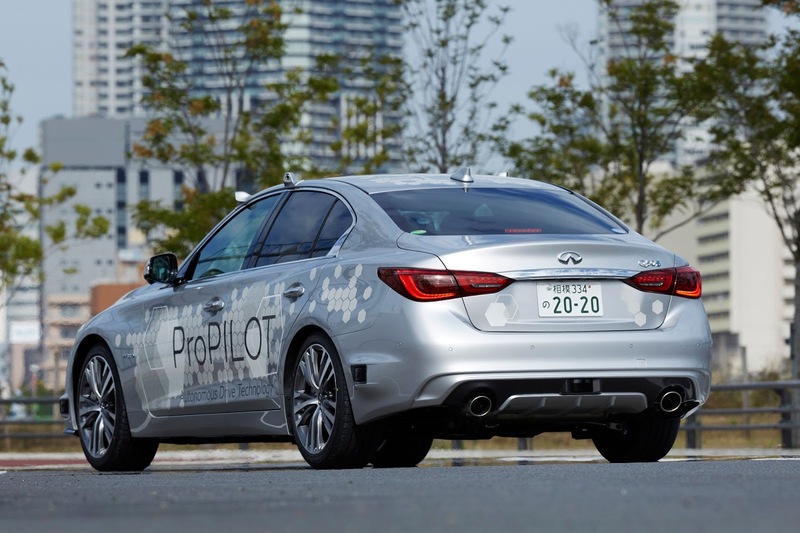 The Japanese manufacturer says its next-generation ProPILOT technology will allow the vehicle to operate autonomously on urban roads and freeways from the moment the driver inputs a destination in the navigation system. 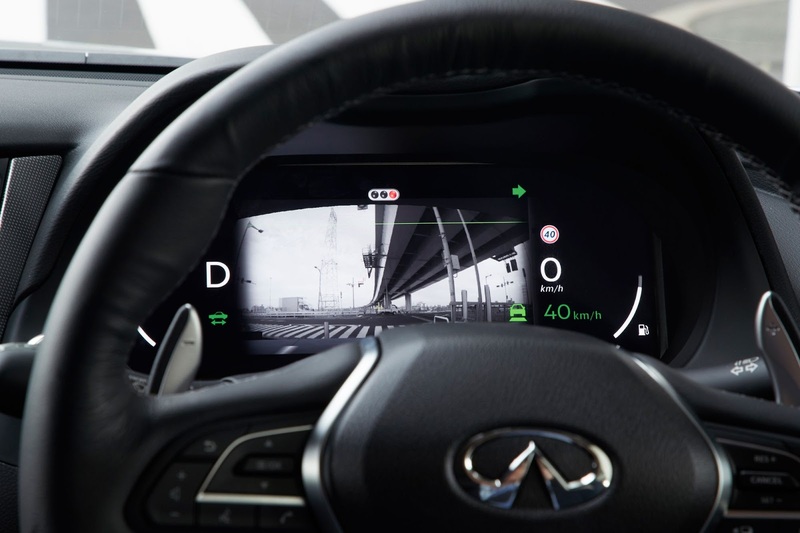 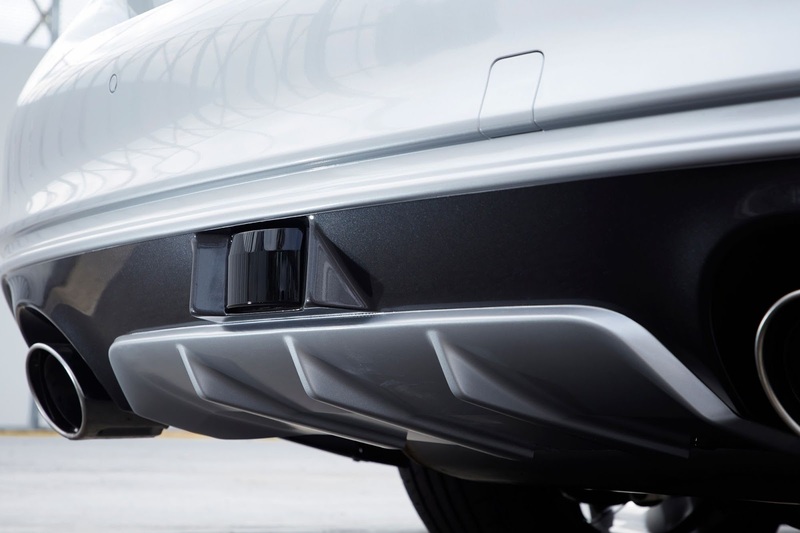 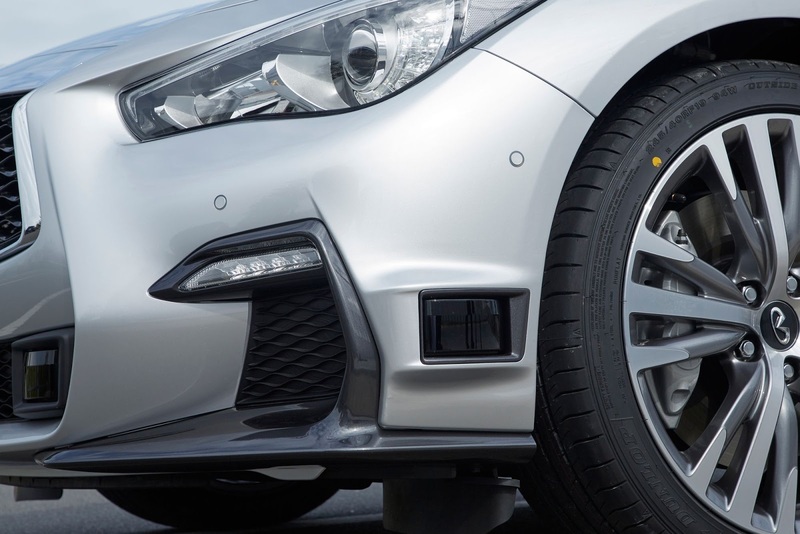 The software that forms a crucial part of the system is said to be so advanced that the car provides a “human-like driving feel that gives passengers peace of mind” and is able to smoothly maneuver around obstacles in the road. 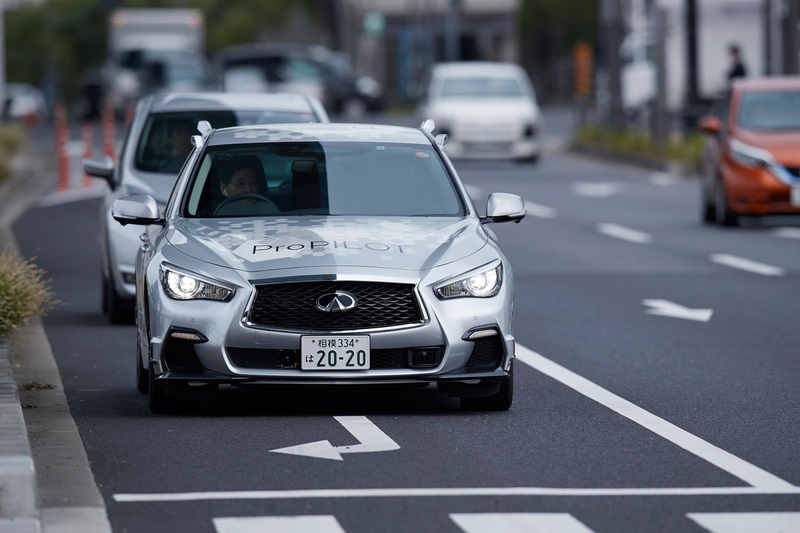 “Ingenuity is at the heart of everything we do at Nissan,” said Nissan senior vice president in charge of research and advanced engineering, Takao Asami. 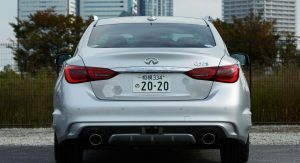 So, Infiniti actually does build cars?! 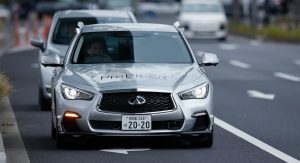 Then, why do they refuse to sell them? 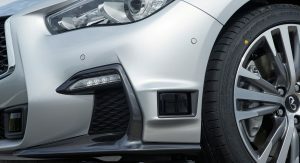 A little bit more info please. 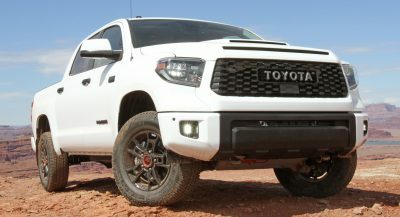 Asked over almost two years continuously (at least twice a month) for an offer. 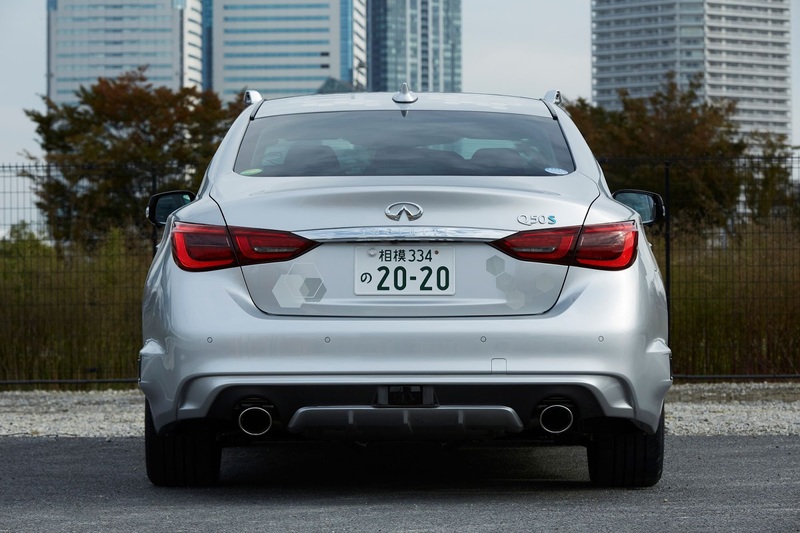 Wanted to buy a Q50, later a M70/Q70 over here in Germany. 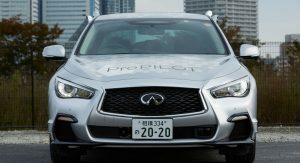 Infiniti pointed to a retailer, the retailer pointed to another retailer, the second retailer pointed to Infiniti. 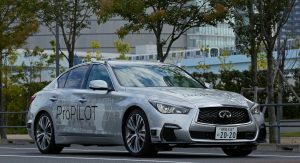 At the IAA that time everyone was eager to present me the cars, but noone knew how to buy it. 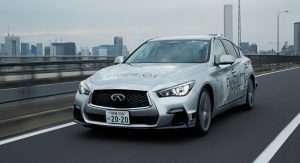 They took my adress, 4 month nothing, then infiniti Switzerland called (hey, I’m from Germany!). 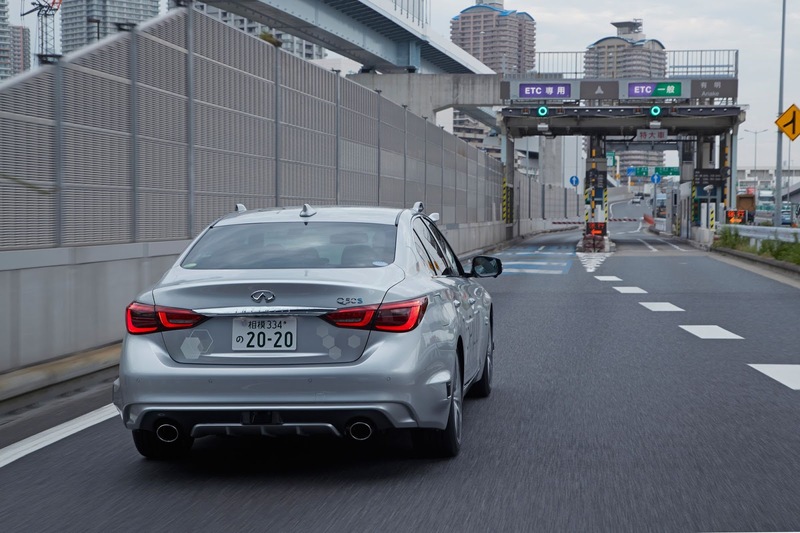 They asked me to ask Infiniti Germany… and here we go again. 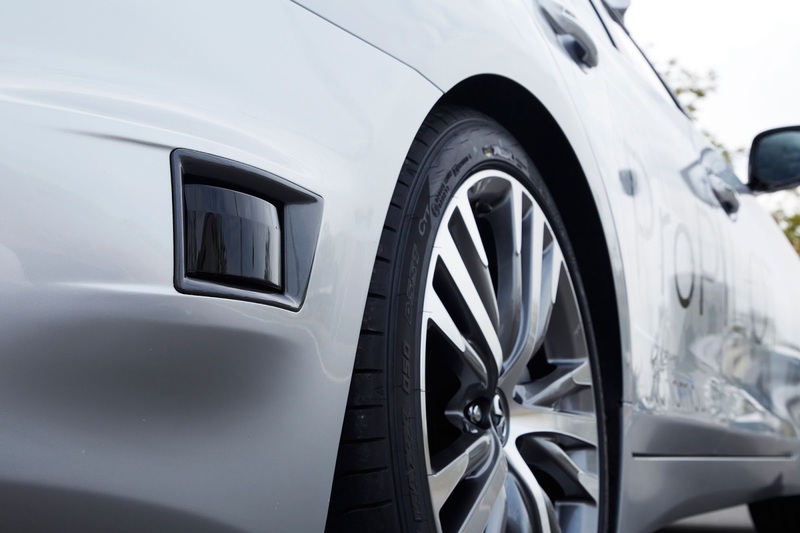 I now happily own a BMW 5. 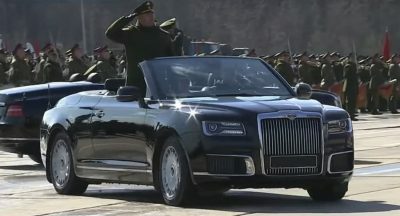 They had no problem in making me an offer in notime. 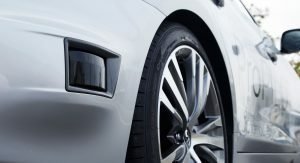 If it makes you feel better, i would personally choose the BMW 5 over the infinity Q50.. its a better all around, specially in Germany! 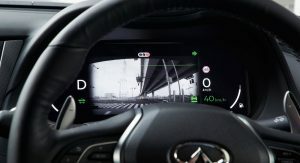 i presume that in winter, when is snowing, the system will not work very good.Those cameras and radars will get covered in snow very fast. 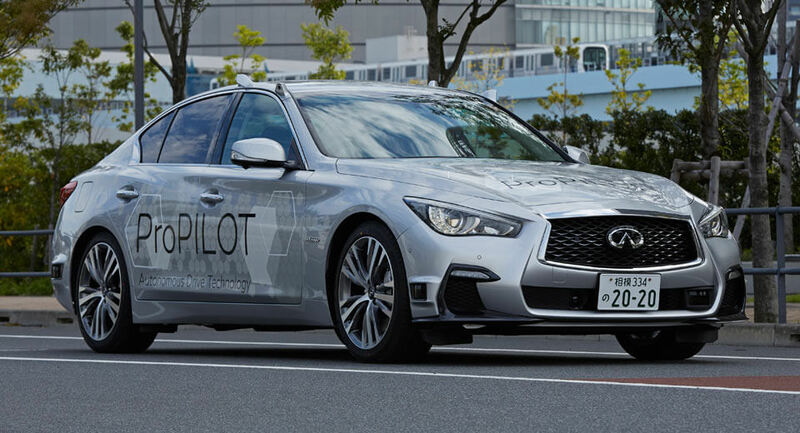 If they are covered with snow, the car would have to rely on past data of when the car drove the road in the summer to ‘predict’ where the road markings are.